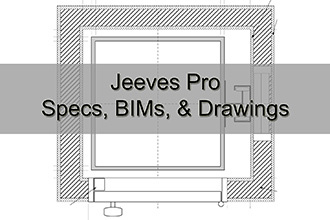 Jeeves Pro RST: The Jeeves Pro RST dumbwaiters are designed to meet the specific needs of restaurants. The cab, gate, and doors are constructed of stainless steel. Removable shelves are available upon request. The mechanical components are prepared for the extensive use that restaurants demand. Standard size of 20”w x 30”d x 36”h. Custom sizes available.